A drip diverter is a purpose-built device intended to capture leaking water and divert it away from sensitive areas. Drip diverters come in many different forms, including the tarps we sell here at Mytee Products. 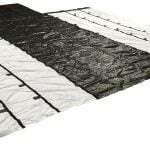 Our drip diverter tarps are ideal for truck drivers, farmers, RV owners, and others. The most important thing to know about the drip diverter is that it is offered only as a temporary solution to a potentially big problem. Relying on diversion for too long, rather than addressing the root of the problem, only leads to bigger problems down the road. We sell a lot of drip diverters to farmers. It turns out that these highly utilitarian products have plenty of great uses ranging from keeping tractor seats dry to making sure feeding areas are not deluged by summer rains. We have even worked with farmers who want drip diverters to protect their hay. Imagine a barn filled with hay for the winter. Much to the farmer’s delight, the hay stays dry – unless the roof suddenly springs a leak. The last thing that farmer wants to do is climb on top of the barn in the middle of winter to affect repairs. Enter the drip diverting tarp. The diverter can be hung from the ceiling directly underneath the leak. Then it can be angled in such a way as to divert the water away from the hay. This is not a solution we would recommend long-term, but it will get the farmer through until nicer spring weather allows for roof repairs. If you think truck drivers do not have any use for drip diverting tarps, think again. Truck drivers are known for doing all sorts of ingenious things with limited resources. There is a lot they can do with a drip diverter. For example, you might have a truck driver who likes to sit outside his rig at the end of a long day. A drip diverter makes a perfect canopy so that he’s not stuck inside the cab if it’s raining. That same drip diverter can be used as a temporary solution if the sleeper cab springs a leak in the middle of a trip. It will do the trick until the driver can get his rig in for repair. We have seen truck drivers use their drip diverters as impromptu sun blockers as well. In the right position, a folded drip diverter can block portions of the side window, thus keeping the sun at bay without affecting the driver’s ability to view side mirrors. 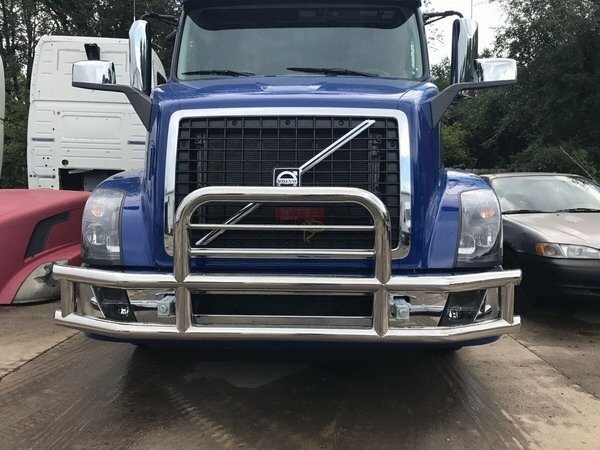 Most of the customers we sell drip diverters to are farmers and truck drivers. But really, this is an all-purpose tarp that has plenty of uses beyond what has been described here. RV owners use drip diverters to keep rain off their picnic tables and grills. They use them to cover their gas tanks during travel. At home, drip converters can be used in the garage the same way a farmer would use one in the barn. In short, drip diverters are a temporary solution to a big problem. By catching water and the diverting it away from sensitive areas, a drip-diverting tarp can save you a ton of money and a lot of hard work by preventing a minor leak from becoming a major disaster. We invite you to check out our inventory of drip diverters. We offer three sizes: 10′ x 10′, 7′ x 7′, and 5′ x 5′. Each one is constructed with vinyl-coated material and heavy-duty grommets in the corners.